I have an arcpy script in which I am writing an array to a CSV (for later use in the script to make a routeing layer). I've tried a couple iterations, and all work like a charm in PyCharm (can't pass up a pun, no matter how weak). But when I convert to script tool and run in the catalog in ArcMap 10.6, it doesn't write the CSV. (Other numpy operations work fine.) In my multiple scripting attempts, the CSV file is opened and headers are written fine; it poops out on writing the array. I don't understand why ArcGIS sees the array as empty. instead, as suggested in a comment below, here's the error I get (note line 170 is from the longer script but corresponds to the line that begins with "off1..."
GetParameterAsText returns the parameter values "as text". to convert the numeric parameter text to the appropriate type of number. Replace var with your actual variable name as appropriate. Not the answer you're looking for? Browse other questions tagged csv numpy toolbox or ask your own question. Python script tool to make intersection points not working? How to script a csv to file geodatabase tool? 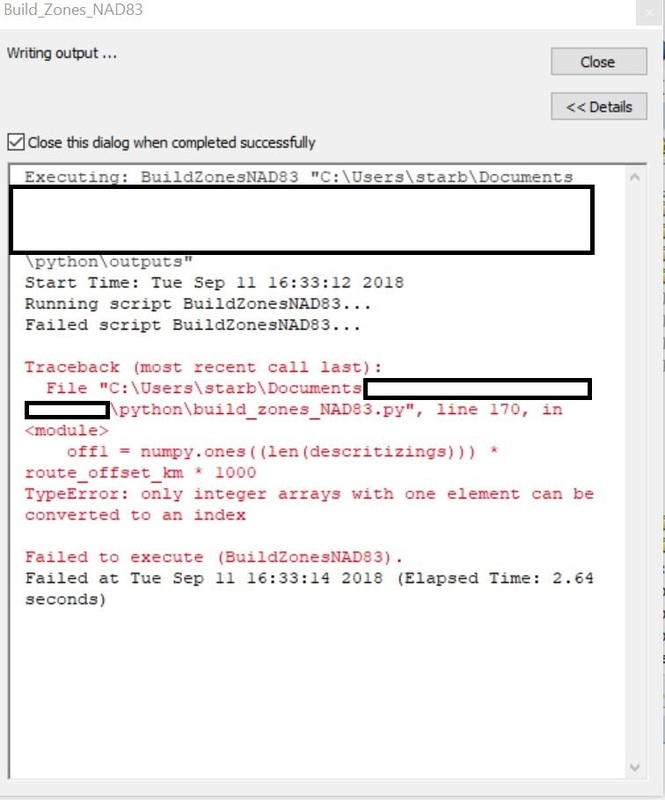 How to get default parameter value for script tool from csv file?